Herbs produce a wide variety of foliage and brightly colored flowers. Generally easy to grow, these herbs to grow in your kitchen garden also produce an abundance of flavor for your culinary creations. A little bit of sage goes a long way as a flavoring herb in meat dishes, sauces, and roasted vegetables. 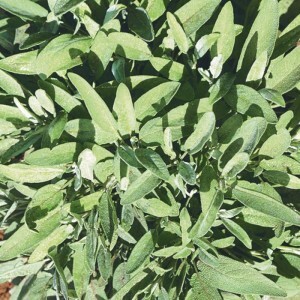 Often grown for its purported medicinal qualities, sage is super easy to grow and doesn’t take a lot of care. Sage plants in your kitchen garden will attract beneficial bees. 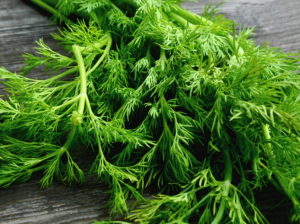 Fennel has strongly flavored leaves that are closely related to dill, and similarly shaped. 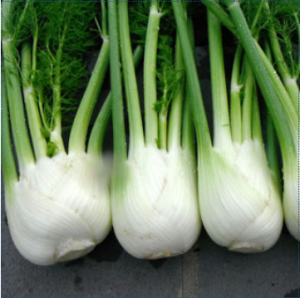 The fennel bulb is a Mediterranean favorite in salads, and can also be sauteed or grilled. The fennel plant distinctively flavored and aromatic, and it flourishes in dry soil. 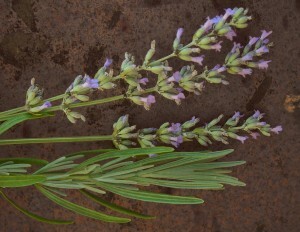 Lavender produces beautiful, fragrant flowers on tall stems. It is often used as a flavoring in pastries, syrups, and dressings that require a slightly sweet flavoring. The plants do be in full sun and need well-drained soil. Dried lavender flowers are popular for potpourri and sachets. 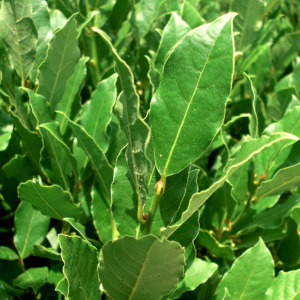 Bay leaves are used for flavoring and are a staple in Italian American cuisine, especially red sauces and pasta dishes. Bay plants are both fragrant and attractive with its dark green leaves. 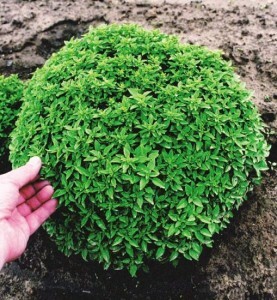 Planted in a container, it will grow to about 4 feet high. This kitchen garden herb will please your from spring through late fall. 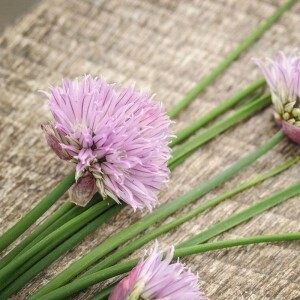 Chives are actually related to garlic. Snip chives into small pieces to flavor everything from sour cream to eggs, fish, potatoes, salads, shellfish, and soups. There are so many basil varieties to choose from! If you have plenty of room in your kitchen garden, opt for two or three different varieties because the basil plant is very popular in a variety of cuisines and you will find many uses for it. Make your own pesto, or prepare a colorful and simple summer salad of basil, tomatoes, and mozzarella. Harvest your garden’s rosemary to flavor poultry, meats, and vegetables. The lovely fragrance releases with just a brush of the leaves, so this plant is a lively addition to your kitchen garden. 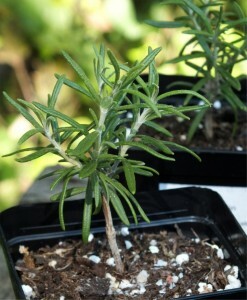 Rosemary prefers soil that is on the dry side, so be careful not to over-water the plants. Well established rosemary can grow into an ornamental bush with careful pruning. If you are growing mint, invite us over for mojitos! 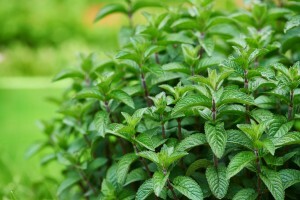 Mint from your kitchen garden has so many uses, which is good because it is actually considered invasive… it will spread quickly and might take over your garden. Mint calms your stomach, makes your breath fresh, and is useful as a garnish or a flavoring in a variety of salads and fruit dishes. 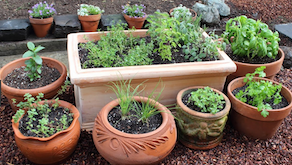 If you don’t have a large kitchen garden, consider keeping the mint confined to a container. If you can, especially for pickled vegetables, you will make good use of a garden full of dill. This pretty herb is also a tempting flavoring for fish, lamb, potatoes, and some vegetables, especially peas. Easy to grow, dill will also attract helpful pollinators like bees and wasps. Parsley comes in either flat leaf or curly varieties and is added to almost anything you cook in order to balance flavors. Raw, parsley has a mildly bitter flavor and makes a beautiful garnish. 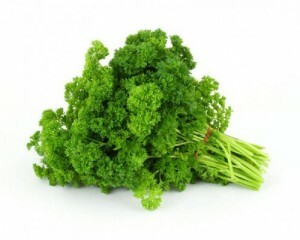 In mild climates, parsley will stay green through the winter, and can be planted very early in the spring. Healthy parsley plants grow thick and bushy without much effort.